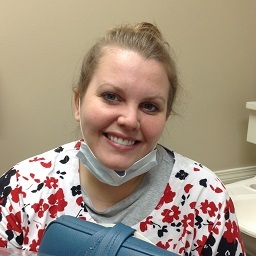 Kara Morehead (receptionist, registered dental assistant) was born in Memphis and graduated from Horn Lake High School in 1996. She currently resides in Bartlett with Cici and Tess, her two cats. She enjoys cooking, relaxing at home and going for walks in ShelbyFarms. 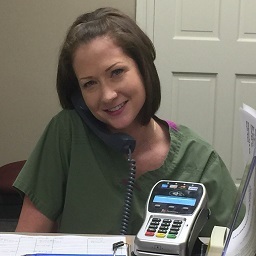 She has worked in the dental field for 20 years as both a dental office receptionist and a registered dental assistant after having graduated from Concorde Career Institute in 1997.
employment with Dr. McCalla in 2001. "I could think of no better place for me. I enjoy working here." Lisa McCalla (Business Assistant, Insurance Secretary): Lisa is a Memphis native and graduated from Kingsbury High School in 1979. She worked for a Memphis Orthopaedic Surgeon for 11 years before starting to work for her husband in 1990. They have one son, Drew (married to Brittany since 2013), and two grand-dogs. Lisa is very active in her Church and Houston Levee Community Center. She enjoys naps, soap operas, kids, Facebook (way too much Facebook!) and correcting her husband. 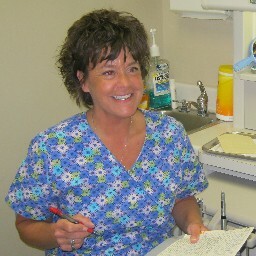 Denise Sides (Certified and Registered Dental Hygienist): Graduated Dental Assisting School (Memphis Area Vocational) in 1990. Immediately after graduation, Denise began her career in dentistry working as an assistant for a Memphis periodontist (gum surgeon). She later (1999) went back to college to obtain her hygiene degree and then her Tennessee state certification. Denise has grown up in Memphis, but is originally from Kansas City, MO. Denise is married to Bruce Sides and has a grown step-son and a beautiful daughter-in law. 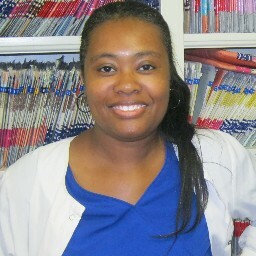 "I chose the field of dentistry so I could work in a close family enviroment, which is what I found at Dr. McCalla's." Dr. Robert E. McCalla (Doctor of Dental Surgery): Robert E. McCalla, DDS is married to Lisa McCalla and the father to Andrew McCalla. Born in Memphis Tennessee in 1955, he attended Sea Isle Elementary School, Colonial Junior High and Overton High school here in Memphis. He graduated from Memphis State University in December 1977 with a Bachelor of Science degree and graduated from the University of Tennessee Center For Health Sciences (UTCHS) in June 1982 with a Doctor of Dental Surgery degree. He has spent his entire professional dental career here in Memphis. In addition, from 1985 to 1988 Dr. McCalla taught part-time at UTCHS College of Dentistry. Doctor McCalla has published one article: "Intentional Replantation: A 'Viable' Alternative to Extraction or Retreatment" in The Journal of the Tennessee Dental Association [65 (1): 26-28, 1985]. He currently belongs to the American Dental Association, the Tennessee Dental Association, and the Memphis District Dental Society. He attends continuing education seminars, each year accumulating over 40-50 hours of DCE. Dr. McCalla is also past elder at Covenant Presbyterian Church (teaching Sunday school classes to adult couples there for 6-8 years). He is father to Drew. Father-in-law to Drew's wife Brittany and husband to Lisa. "I love my job! Though it not really a 'job' when you have fun doing it. Is it? I have great patients. I have a great staff."